The Signature Details Day Spa Facial will leave you feeling on top of the world. Deep cleaning and removing debris from your skin gives your skin the look of refined pores and smooth surface glow of healthy, young skin. Exclusively using the 302 professional product line your skin will respond quickly to the natural gentle products that provide moisture and softness. 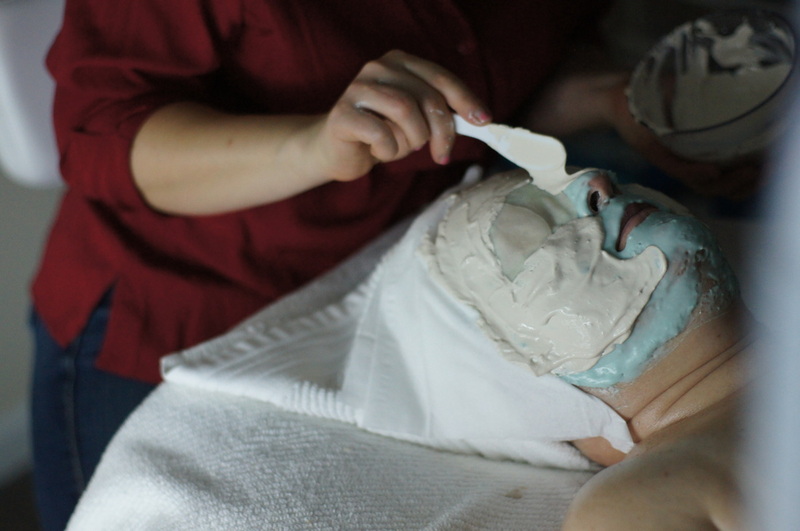 Everybody can benefit from this facial and is great if you are new to the facial process. This treatment can also be applied to the back as well. Four Layer Facial is the premier Anti-Aging treatment which even Cosmopolitan called “…the best facial of the century” experience layer upon layer of rich, vitamin and mineral filled luxurious seaweed that will provide you with younger looking skin that is visibly moisturized and rejuvenated. Trending in this great facial is the mineral mask it creates gentle warmth that heats up the products loosens the skin around the pores and drives the nutrient filled product deeper into the dermis. This facial is great for maintaining your skins youth and keeping you relaxed. Vita Cura Facial is based on an exclusive combination of natural marine and herbal ingredients to invigorate, lift and firm mature skin. If you are looking to reverse the hands of time and give your skin the products you need to repair damaged skin cells and trigger a long-term reproduction of new skin cells, this is the facial for you. The benefits you receive from this treatment are preservation of elasticity, tightening and relaxation. 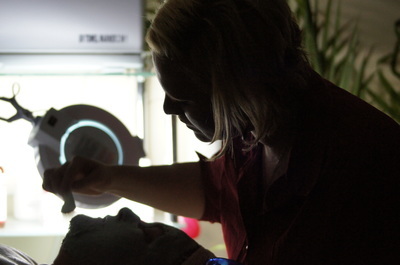 This facial is best for you when you are looking for aggressive anti-aging treatments. Biolight Miracle Facial is the most effective professional treatment that helps brighten and diminish the appearance of hyper-pigmentation due to the sun, acne scars and hormonal changes while enriching your skin with added anti-aging benefits. Clinical studies have shown that its marine and botanical actives work together in your skin to uncover a radiant, more luminous complexion. 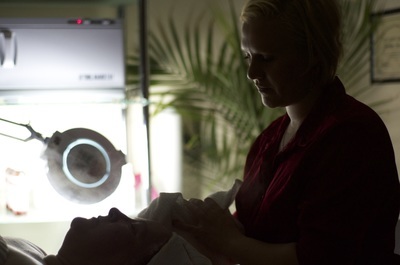 9 out of 10 facial recipients said that Biolight Miracle Facial reduced visibility of discoloration and post-acne scars. Safe and effective for all skin types and tones, this brightening facial will reduce dark spots and leave your skin refreshed and your body relaxed. This facial is best if you are looking to even completion. Details Summer Peel is formulated as a unique peeling option for all patients, including those with highly sensitive skin. This gently 6% TCA solution will improve surface texture and brighten the skin while helping to promote an even skin tone. This multi-faceted and skin-brightening treatment is an excellent option for sensitive skin and higher Fitzpatrick types. Dermaplaning is a simple and safe procedure for exfoliating the epidermis and ridding the skin of fine vellus hair (peach fuzz). It has been used for many years, but many estheticians don’t even know it exists, and certainly, many don’t use it. Dermaplaning, also known as microplaning or blading, is a non-invasive procedure for the removal of the outermost layers of dead skin cells on the face. The dermaplaning treatment involves exfoliation of targeted areas of the surface layers of the skin using a very small blade. Microdermabrasion is an effective form of exfoliation that removes the dead skin cells on the top layer of your skin. Removing the compromised skin cells by using a diamond tip applicator creates a scratching sensation which forces the body to produce collagen and elastin the proteins that are responsible for youthful skin and deminish in production as we age. Safe and highly effective, add this to your facial treatment today and you will benefit greatly from the treatment of acne, scarring, aging and sun damage. This treatment is for everyone if you are looking to dramatically increase the benefits you receive from your facial treatment today. Seaweed Treatment Mask is enriched with vitamins, minerals and amino acids that will nurture your skin back to health. The cooling temperature of the mask will reduce inflammation instantly while reducing redness. Removing damaged proteins on your skins surface will leave your skin looking soft and reveal the even tone you’ve been looking for. Perfect for you if you want a beautiful completion that is healthy and balanced. Rapidex® Exfoliator rids your skin of a dull complexion by removing dead skin cells and dark spots. Whether your skin suffers from accumulated dead skin cells due to travel, sun exposure, oily/acne build up or biological aging, Rapidex® is a safe and effective unidose program. It will help rejuvenate and brighten your completion by removal of your dead cells, revealing younger, clearer, and a brighter complexion with more even texture and tone. Based on Phyto-marine actives and natural fruit acids, it helps to diminish the look of age spots and discoloration, leaving your skin smoother, softer and brighter. IMPORTANT: Never expose your skin to the sun after exfoliation without SPF protection. HydraFacial delivers instant and long-lasting results that you can see and feel. With ongoing treatments, you’ll notice intensely improved hydration, minimized dark spots and dramatically reduced appearance of fine lines and wrinkles. Best if you come every 4-6 weeks and dont forget to ad on a specialty vial.